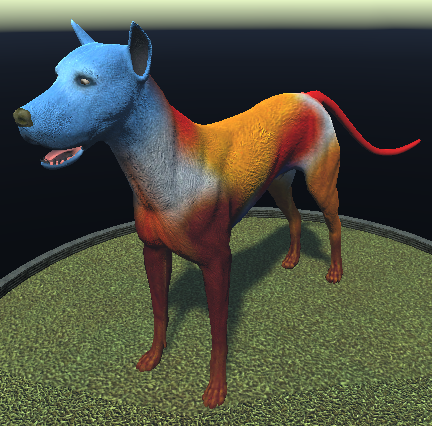 The Substances based PeltUberShader was designed to rapidly provide variations of coloring, hair depth and muscle tone for most quadruped type creatures. 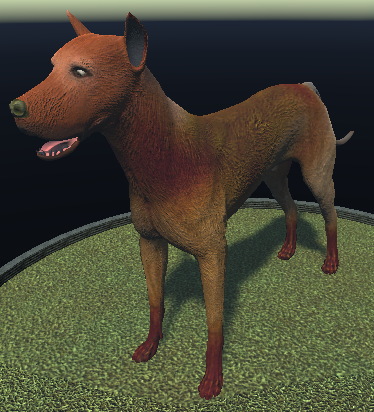 It provides 13 layers of patch and layer based color control to allow most types of quadruped coloring to be achieved rapidly and further provides other controls to assist in achieving multiple variations in the tradition of Substances based shaders. Pull a slider and select a layer/path color and it instantly changes for you to experiment and get the look and feel you want. 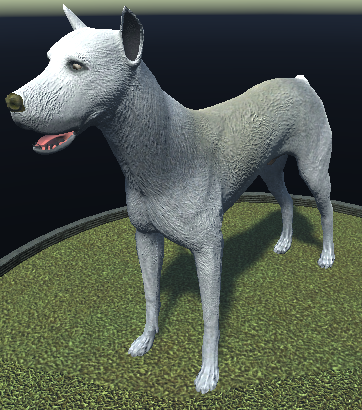 It comes with a K9 mesh that is rigged and has basic walk and run cycles, tail wag and breath rate variants. 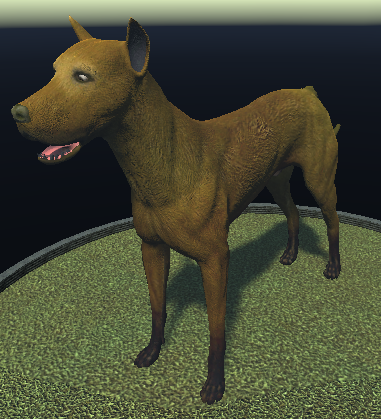 You are not restricted to a K9 though as you are also provided UV mapping templates set up so that you can set up the UV’s to your custom built quadruped to work with the shader which are laid out in the standard manner one would lay out a pelt for tanning and processing. Layer Color Spread – This controls the amount of blur or spread of the overlayed patches for subtle transition to gradient blends between each of the patches overlaying the Base Color. 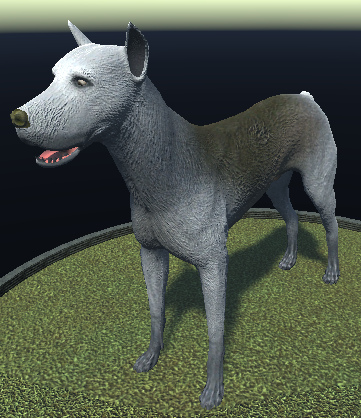 Blend Mode – This controls the type of blend of the color patches over the Base Color of the pelt. 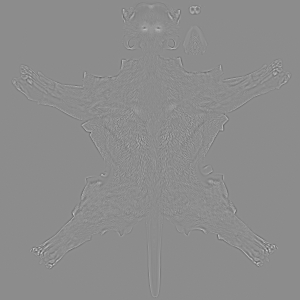 There are six Blend Modes available…Copy Blend, Add Linear Dodge, Multiply, Add Sub, Max Lighten and Min Darken. 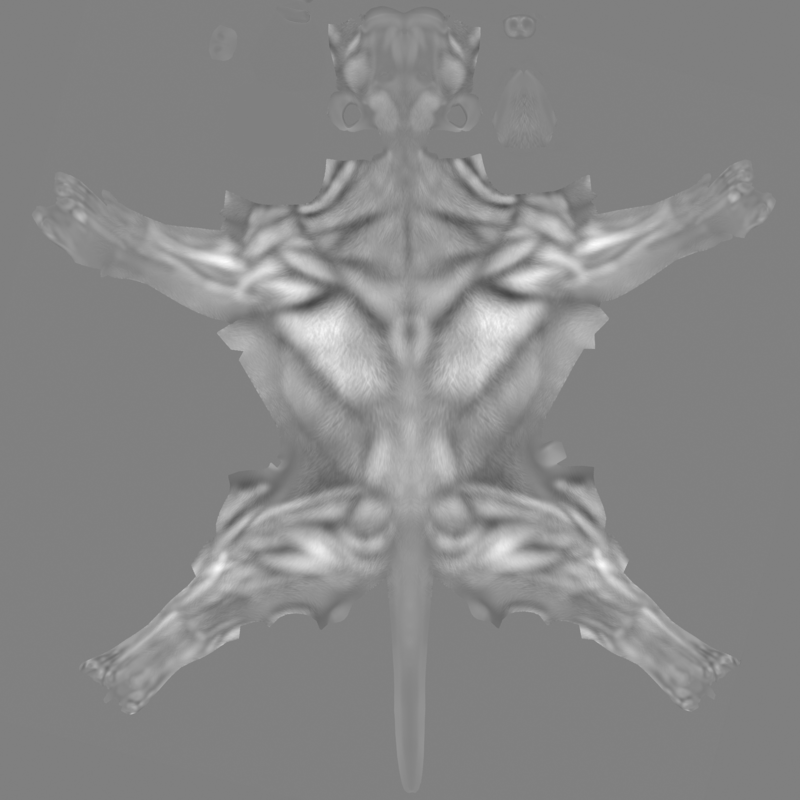 Muscle <-> Hair Map Mixer – This controls the Muscle to Hair maps mix to provide deep cut muscle tone found on smooth coated quadrupeds to a deeper and thicker hair/fur look. 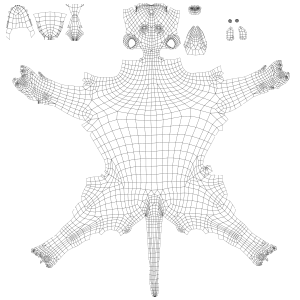 Normal Map Intensity - This controls the depth of the procedural maps output and can be used with the normal map intensity of the Unity shader type used with it. The Layer/Patch Colors - Customize till your eyes are satisfied with the result. 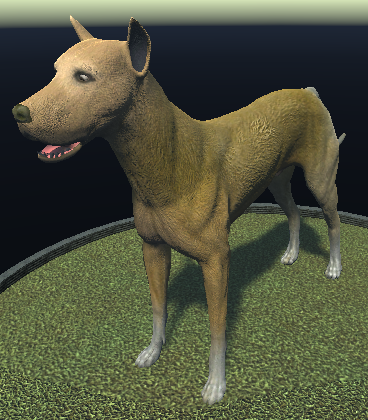 Allow users to customize their quadruped by providing a coherent UI interface. The UI script included shows how to call, set and get each function of the shader. 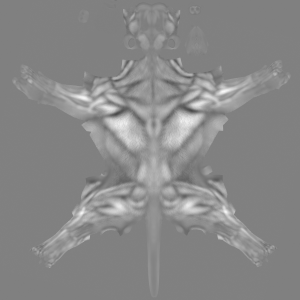 The layers/patches are of course the Base and overlaid on that are Head, Neck, Saddle, Tail, Chest, Kidney, Belly, Rump, Rear Legs, Front Legs, Boots and Nose. Inner mouth and ears are not affected by blends and overlays. Here are a few screenshots of examples I created in a couple of minutes. Included are the masking maps from the internal Substance graphs (internally they SVG maps) and the hair and muscle maps as well as UV templates. 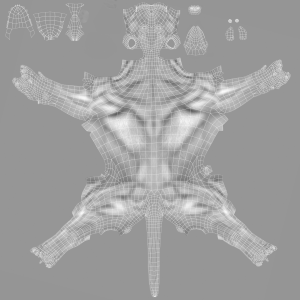 This will give you a good idea of how the shader is put together so you can extend it for your use when creating quadrupeds from scratch. The Substance .sds file is also included so you can extend the graphs to suit your needs if you have Substance Designer. 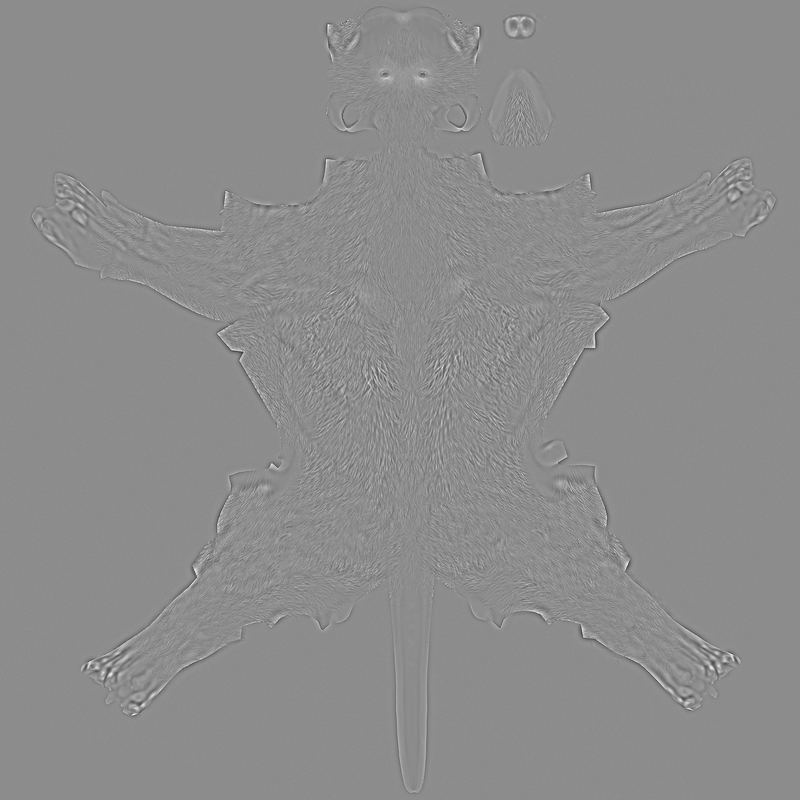 Also included is a NormalMapMixer shader that can mix any two greyscale maps to produce a Normal Map that can be mixed and adjusted to suit your needs.